This blog is part of Disease Detectives, a series which showcases PHE science. In this edition, we are highlighting the work of Neil Bentley, Head of Specialist Microbiology Technical Services for Public Health England. Neil began his career back in 1983, joining in the Royal Army Medical Corps as a trainee Laboratory Medical Technician and progressing his career within the Army for the next 13 years. He earned his stripes doing large scale diagnostic work and then was posted overseas to Hong Kong, Brunei and Belize. Neil would go on to design and lead the microbiology and public health training for all military biomedical science trainees. Neil left the Army as a Senior Medical Scientist and in 1997 he joined the PHE team at Addenbrookes Hospital, eventually becoming Head of Operations in Cambridge. Neil's ambition when he became Head of Operations at Cambridge was to make the Cambridge microbiology lab the best microbiology lab in the world. Back in 1997, when Neil joined the team in Cambridge the PHE laboratory was operating on a 9 to 5pm, Monday to Friday and Saturday morning shift pattern – relying on slower labour intensive methods of testing samples. Neil’s plan was to automate some laboratory procedures which would speed up experiments. He then changed the working shifts to a 7 day shift pattern and then onto a 24 hour shift pattern. 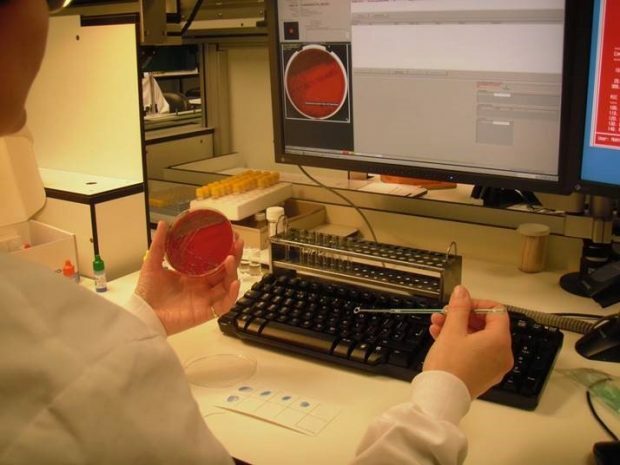 His work automating the handling of agar plates at the Cambridge laboratories has transformed the operation. Now it's like a mix between an internet café and a sushi bar joined together – the plates can be automatically inoculated then a track takes them to the incubator and after incubation, the photographed image of the plate is available to be read by a biomedical scientist. Those plates needing further work then come out of the incubator via a track for supplementary work like antimicrobial susceptibility testing. Then they come out on a track to you but you don’t have to look at the plate unless you want to work on it – you can just look at the image of it on a computer screen. Analysing agar plate samples in the Cambridge laboratory. Cambridge was one of the first laboratories in the world to implement this kind of automation into the field of micro and bacteriology. Once Neil had modernised the Cambridge labs, he was then asked to take on the position of Head of Technical and Scientific Services for the organisation, tasked to implement the same modernisation throughout the country. This continues to be Neil’s role within the organisation. A turning point in Neil’s career and life came in the summer 2014 when he was asked to set up three laboratories in Sierra Leone at the beginning of the Ebola outbreak. His role was to develop and lead the operation to set up the laboratories from scratch within the African bush and to organise a suitable in-country cold chain supply of chemicals and equipment from the UK, as well as sourcing basic essentials like water and electricity. As the laboratories opened, it quickly became apparent that the provision of diagnostic services was only a part of the public health requirements needed. There was also a requirement to train and develop local healthcare and support staff on how to effectively obtain patient samples and transport them to the laboratories as quickly as possible. Neil and his team set-up community training at local medical centres and worked with local transport teams to speed up sample delivery. 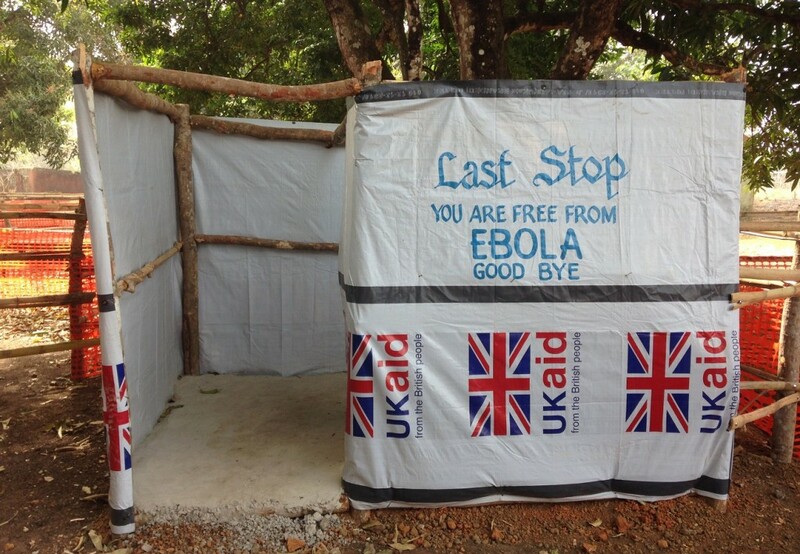 Speeding up the time taken to test samples was imperative to saving lives as patients would come to Ebola holding centres at the onset of pyrexia (raised temperature). Neil’s team successfully minimised the time needed to test samples from 5 days to 24-hours – a huge achievement which will have saved thousands of lives as the probability of cross infection within holding centres was significant. 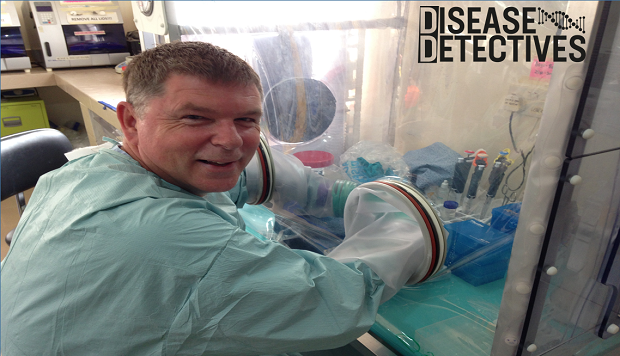 On subsequent visits to Sierra Leone, Neil changed his focus to help coordinate laboratories at a national level, supporting the Sierra Leone Ministry of Health and Sanitation and international partners to implement measures required to control the outbreak centrally. Of course, Neil skirts over the selfless courage and frankly heroic act of agreeing to go to Sierra Leone. It takes a certain person to agree to put themselves in such a potentially dangerous situation, with so many of us sitting by watching the horrors unfold on the news. We watched but Neil didn’t, he left his family and got on a plane. Was he ever scared about going out to Sierra Leone to fight Ebola? No, I understand about Ebola. I know about the disease and I know how it’s transferred. We were in a controlled environment, if we worked with patients – they could be unpredictable, a test-tube with blood in is totally predicable. But I saw such suffering and despair that will stay with me forever but the job needed to be done. And as such, Neil returned seven times to Sierra Leone and would go in a heartbeat if asked again. Neil received his OBE in 2016 in recognition of activities in the field of public health, and for his role as liaison between the British and Sierra Leone governments. Last month, Neil was awarded with an Honorary Doctorate in Medical Sciences from Anglia Ruskin University but he doesn’t see himself as worthy. Even as he received his award, his speech was full of encouragement and advice to his fellow graduates collecting their certificates at the same time. Not a time for him to wallow in pride, but to continue to inspire the next generation of disease detectives venturing into an ever-changing world where maybe they will be asked to step up and make a real difference. Like this blog? Read more from our Disease Detectives series on the collection page.